Present generation checks everything on YouTube for lifestyle activities, fashion and Beauty Tips. It’s a hard task, chose great bloggers for fashion and beauty. Here, we can pinpoint beauty tips dilemmas, outfits for occasions when to wear, showcasing all new things how to wear. 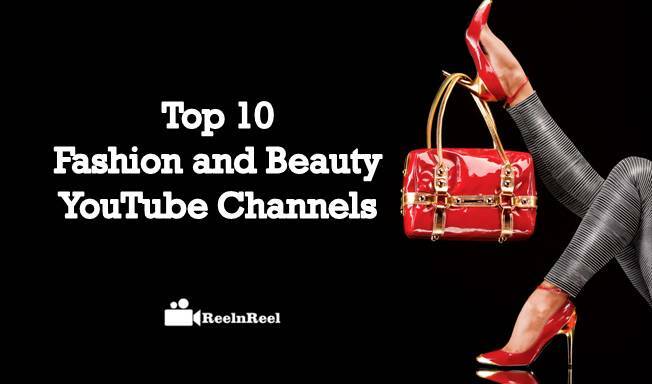 We have shortlisted top 10 fashion and Beauty Vloggers. This channel focuses on fashion, beauty, makeup, and books. One of the best beauty channel for makeup. Marzia channel is popular in Italian style fashion branding. Million of adults follow for beauty tips. This channel has 6,784,030+subscribers and 533,657,913+views. Grav3yardgirl is highest paid YouTube star and well known for fashion, blogging and cosmetics. Rachel Bunny Meyer names herself as grav3yardgirl. This channel she showcases tattoos, cosmetics, ghost make ups, unique fashion. She is famous for her sweet tea bags. This channel has 7,850,634+subscribers and 1,273,403,515 views. London based fashion and beauty channel, this channel describe travel, beauty, Life advice type video’s done by Samantha Maria. She releases weekly videos and huge collection of handbags. Halos, beauty, books, health advices and travel videos are popular for this channel. 1,812,851+ subscribers and 153,001,002+ views. An American beauty guru named as Rachel Claire Levin. One of the fastest growing YouTube beauty channel. Well known for cosmetics, fashion, composing magazines. She is famous for makeup on webcam and comic. 10,365,501+subscribers and 1,690,364,224+ views. Claire Marshall is beauty, fashion, travel and lifestyle video’s launched in her blogger. She is top for YouTube makeup artists, huge collection of cosmetics, hair care videos. She is famous for beauty therapy and conducted many workshops about beauty therapy. 882,772+subscribers and 61,860,144+views. Michelle Phan an American Entrepreneur and YouTube video blogger. Well known for beauty, fashion, wellness knowledge. As an entrepreneur she has various makeup tutorials and product description videos. She has a most passionate online community. This channel has 8,793,188subscribers and 658,878,808+views. This channel describes Men’s fashion, hair care, DIY’s, personal style videos. Jair uses refreshing music to personalize his fashion, travelling videos in his blog. One of the best fashion channels followed by 10 million video views. This channel has 313,462 + subscribers and 36,571,537 + views. Dre Drexler channel popular for the way of living and men’s appearance in his own style. He gives tips for hair, fashion and fitness. He has a huge following in Instagram for fashion advice photos. 236,034 subscribers and 22,155,564+ views. This channel covers fashion, beauty, fitness, food, grooming and DIY’s. He has modeled agency, actor and an entrepreneur. He first started fashion tips, tutorial videos and now it’s become a popular YouTube fashion Channel modeled for fashion brand like KoHl’s, Target and Fitch. 78,068 subscribers and 4,410,416+views. Bethany Mota is generous for fashion, lifestyle, food, Volgs and hauls. She is YouTube fashion designer, singer and dancer. She is famous in dancing YouTube star and displays her cloths with some models. She is a young media star. 10,329,610 subscribers and 900,952,131+ views.